A red-state, liberal living on the outside looking into the mirror. Does this one belong under the church bubble? Willful ignorance is nothing of which to be proud. For example, when Justin Hohn begins his June 18th letter to the editor he attempts to address his fellow Christians regarding the source of LGBT pride and focuses primarily on his interpretation of the Bible. Perhaps the former City Council candidate merely forgot that there are more than one-hundred (100) Christian churches in Columbus (yes, that’s the city and not the county). If everyone of them reads their Bible’s the same way Justin Hohn does then perhaps he can explain to them, and us, why there seems to be a need for so many different churches? But that alone does not prove willful ignorance, merely sinful pride and arrogance in the belief that one person’s limited understanding of the infinite is enough to determine how another person should live their lives for the infinite. No the willful ignorance comes from the complete lack of understanding the source of LGBT Pride. In June of 1970, the nation’s first parade commemorated the one-year anniversary of the Stonewall riots — the nearly week-long uprising between New York City youth and police officers following a raid of Stonewall Inn. Stonewall was a popular gay bar located on Greenwich Village’s Christopher Street, and the uprising helped bring the LGBT civil rights movement into the national spotlight. 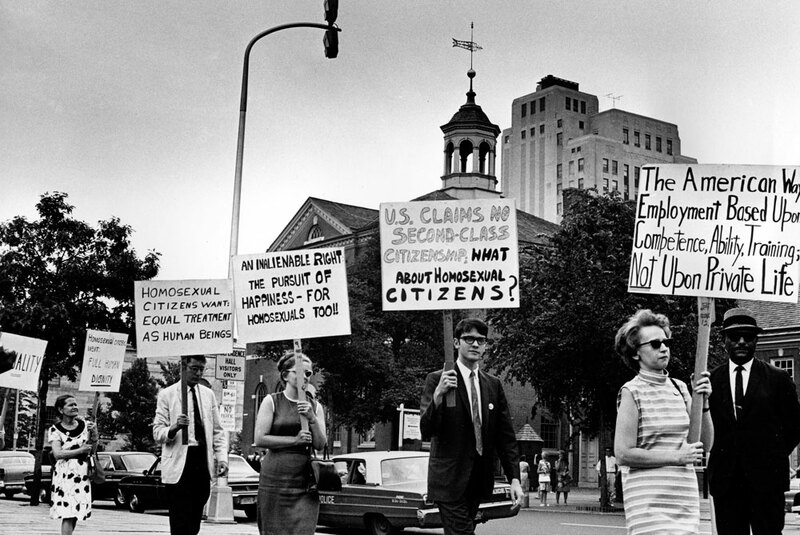 A year later, activists celebrated the uprising with the “Christopher Street Gay Liberation Day” march. Those who participated in that first parade had to overcome the fear of continued violence against them. They were targeted for who they were because LGBT is an identity. Mr. Hohn argues that he can define what it means to be an African-American (please do), and yet Bill Nye the Science Guy argues that race is a human construct and states “There really is, for humankind there’s really no such thing as race. There’s different tribes but not different races. We’re all one species.” But again, Mr. Hohn suggests that race and gender can be empirically verified. Perhaps, but then what does Mr. Hohn have to say about hermaphrodites? I assume nothing, since the Bible doesn’t say anything about hermaphrodites. We could await his findings, but ignorance can be bliss for some I suppose. However, his argument that LGBT identification is solely based on feelings would mean that Mr. Hohn missed the May meeting for the Human Rights Commission (HRC) where it was publicly stated that members of the LGBT community had already sought mediation for discrimination. Apparently someone had no problem identifying them. Maybe they’re just more intuitive than Mr. Hohn, but that’s not the real problem here. The real problem is twofold. The first is that under the current HRC ordinance someone seeking mediation for grievance with the HRC based on their sexual identity (or age!) does so strictly on a voluntary basis. That means that if their employer fired them because they are LGBT then their employer has no compelling reason to take part in mediation. The best they can hope for is if it falls under some other category, like sexual harassment. Whereas, with other protected classes, such as gender and race, the HRC can initiate an investigation and, if probable cause is determined, move forward with conciliation. If conciliation fails then the case is heard at a public hearing. At the hearing a Final Order by the Commission is legally binding and may include a Cease and Desist Order or further remedies to eliminate discrimination. But Mr. Hohn is not concerned about possible complaints that may lead to cease and desist orders, he’s concerned about tendencies, behavior, and “our response to temptation.” What is tempting Mr. Hohn? Our former city-council candidate is a strong supporter of SB 101, the Religious Freedom Restoration Act, that was passed into law and amended. Mr. Hohn does not believe that RFRA, as originally written, would lead to the discrimination that a city ordinance giving the LGBT community protected status would prevent, but Mr. Hohn, like many who support RFRA, cannot answer one simple question: What is it that those who support RFRA would like to be able to do that current law does not protect them if they choose to do it? We can pretend that with over 100 Christian churches in Columbus that this one or that one has the definitive take on how to understand the Bible. We can even pretend that this one that gets to determine how the rest of us lives. We could go even further and pretend that we don’t know how to use the internet to look up the history of LGBT Pride, or that hermaphrodites don’t exist, or sexual identity is based solely on a “feeling.” We could, to the extreme, believe that proponents of RFRA do not wish to discriminate against the LGBT community and only hope to avoid eternal hell fire by refusing to bake a cake for a Gay wedding. We could, but as the South Park parody of Michael Jackson might put it, “That’s ignorant,” or that’s willfully ignorant.